To book an appointment, please contact the artist directly as there's no receptionist onsite. To schedule multiple services or if you have any questions, please email us at info@glosschicago.com. With 20 years of experience under her belt, Renee is a color expert specializing in the hair painting technique Balayage. She began her career at Mario Tricoci. It was here that she grew her extensive clientele base to include celebrities and influencers such as Ginger Zee, Jillian from The Bachelor, talent from Extreme Makeover Home Edition, several sports players wives, and many more. Retaining her loyal clientele base, she spent a year working under celebrity stylist Anthony Christiano at Trump Hotel and Towers before opening up Gloss in the prestigious Gold Coast neighborhood in September of 2013. She is delighted to invite you to Gloss where the highest levels of hairdressing and a fun atmosphere go hand in hand. Joelle began her training with Paul Mitchell Systems and Vidal Sassoon Academy in both coloring and hair-cutting. While working beside celebrity hairstylist Alyn Topper, she finessed her skills in the cutting edge technique balayage highlighting while also mastering the tiniest of details in styling that leaves every client feeling beautiful. Having built his career as a leading hairstylist with a major national salon for 20 years, Juan jose is an independent stylist and designer whose passion for beauty and personal transformation drives his creations. from everyday hair to lavish fashion designs, Juan Jose is available for hair styling, cuts, and expert designs for all types of occasions. Lisa simone has spent the past 16 years working in the skincare industry. a chicago native, she graduated from empire beauty school in 2003 and then continued her education at the international dermal institute of chicago. she is a master at customizing facials and brow-shaping. she holds a wealth of knowledge in skincare products and ingredients. her passion is addressing her client's needs and delivering effective results. Lisa prides herself on keeping up with the latest in skincare, including incorporating mico-current, Gua Sha, led light therapy and various peels into her treatment room. wITH OVER 15 YEARS OF EXPERIENCE AND TRAINED BY THE BEST IN THE BUSINESS, jACKIE HAS BEEN TRUSTED AND EMBRACED BY THE WOMEN OF cHICAGO. HER EXPERTISE AND SKILL IN APPLYING LASHES AND WAXING BIKINIS AND BROWS IS ONLY SURPASSED BY HER ATTENTION TO DETAIL AND HER CONCERN THAT EACH CUSTOMER IS COMPLETELY SATISFIED AND WALKS OUT FEELING THEIR ABSOLUTE BEST! DORINDA FOLLOWED HER HEART INTO A CAREER OF ESTHETICS IN 1982. sTEPS ALONG THE WAY INCLUDE ACQUIRING A ESTHETICS TEACHERS LICENSE, MASSAGE LICENSE, AND TRAVELING TO LONG ISLAND TO APPRENTICE UNDER BARBARA ANN BRENNAN FOR SPIRITUAL HEALING AND CHAKRA BALANCING. sHE STARTED HER JOURNEY AT THE HEARTLAND HEALTH SPA AND HAS THRIVED IN CHICAGO FOR MORE THAN THREE DECADES. PEVONIA (SWEDISH FOR FLOWER) IS HER SKIN CARE LINE OF CHOICE. tHE FINEST BOTANICAL INGREDIENTS, NANO TECHNOLOGY, AND UNSURPASSED SKIN CARE! With 40 years of experience, Zena has not only owned her own nail salon on the prestigious Oak Street in Chicago, but also provided top-notch service to the Gold Coast patrons at many of the neighborhood salons. Her clientele list spans from Chicago socialites to celebrities from here and abroad - including Chicago's very own Oprah Winfrey and Shark Tank's Lori GreIner. She specializes in European manicures and pedicures that leave all of her guests elated. As featured in Refinery29, She currently offers the Time Saver Package -- Have a manicure and/or pedicure while receiving any services at Gloss! 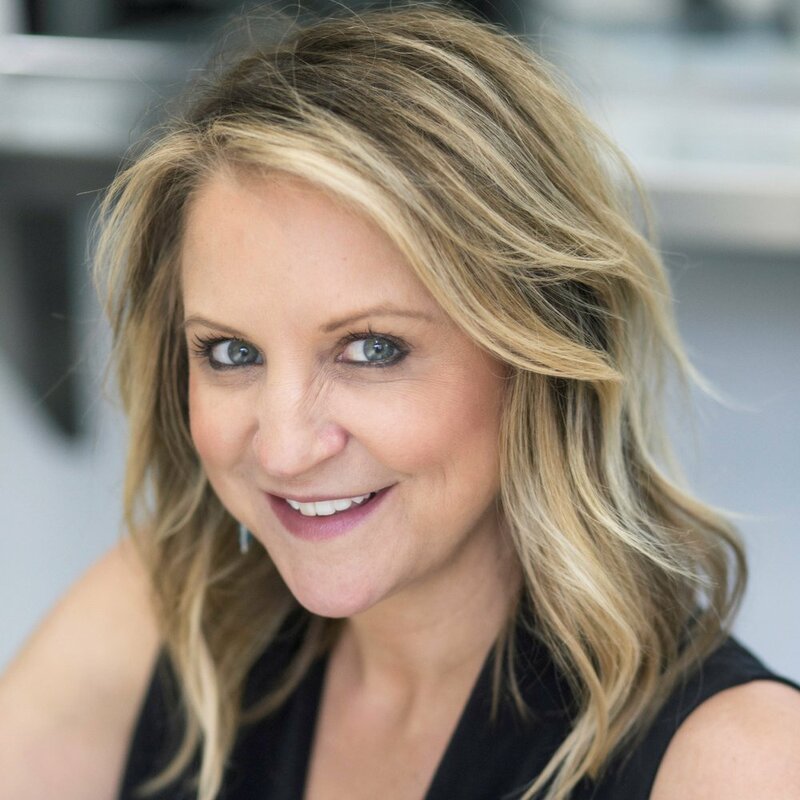 Educated in the salons of New York, Paris, and Milan, Sheryl has worked with Chicago's trendsetters for 20+ years, including national network shows such as Oprah. Working in the industry since 1977, Sheryl has put in countless hours with her clientele to refine her skills. Named by Chicago Magazine for "Best Hair Extensions," Sheryl has been doing extensions since 1988. Lucky Magazine also selected her business, Chicago Hair Extensions, for "Best Hair Extensions 2003." Men and women whose hair is 3+ inches long can benefit from extensions. advance reservations are recommended for individual consultations. Let Sheryl evaluate the condition of your hair and work with you to find a hair extension method that will complement your lifestyle and your looks.